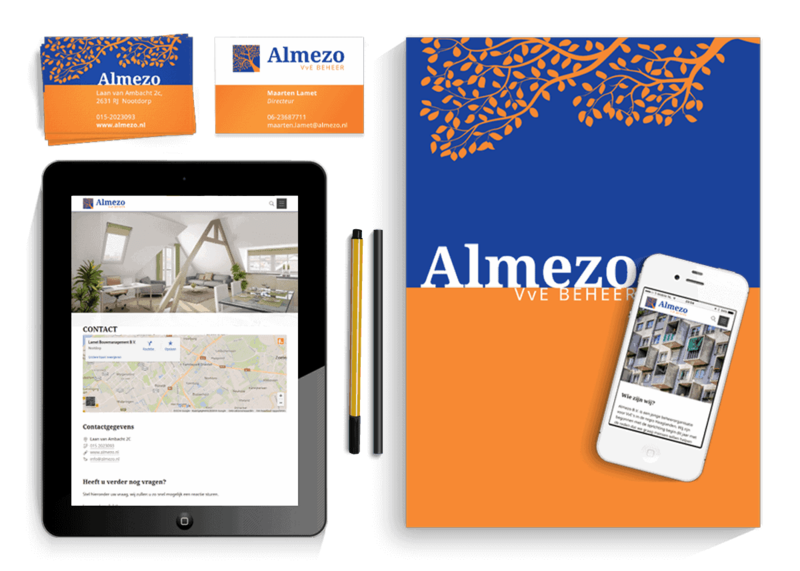 Almezo B.V. is a management organization for HOA’s (Homeowners Association) in the Hague region. They started early this year to deliver their services to help people manage their HOA, but also because they are convinced that it could be done better. 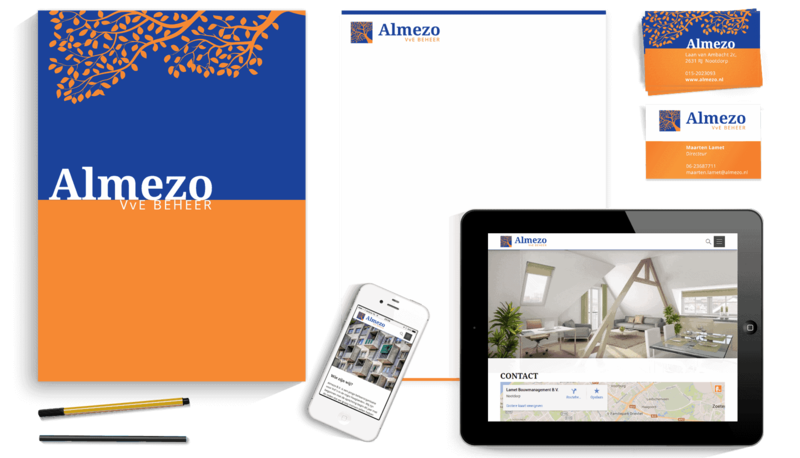 I’ve been asked to design a complete new corporate identity and a responsive WordPress website for Almezo. I first started sketching and designing a new logo and used some of the recognizable elements — derived from the logo — in the further design of the bussiness cards, letterhead and website. Focus on the site was on a unique design and structure so that within a few clicks the needed information about the organization, services and news could easily be found. 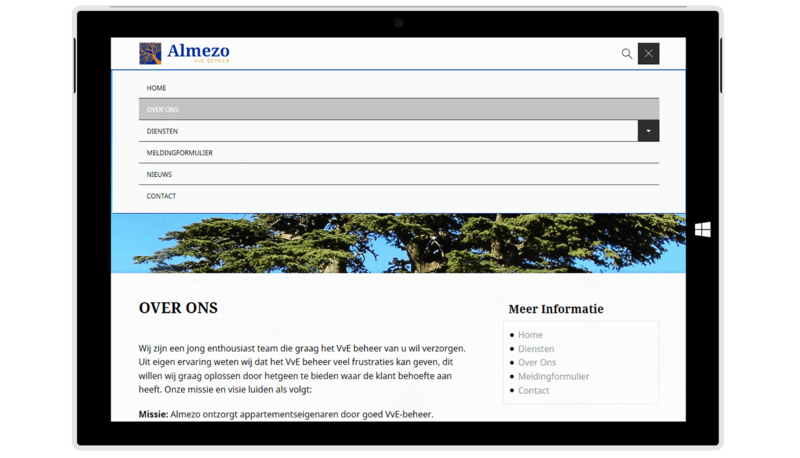 This Responsive WordPress Theme has 1 Custom Post Type for testimonials and 1 Custom Page Type for the various services Almezo offers their clients. The WordPress backend has also been modified by additional TinyMCE buttons in the visual editor for all pages and articles, Theme Options to change texts on the homepage, upload pictures to the image carousel, show different social media accounts, etc. This site was built from scratch, creating a semantically coded, fast loading, search friendly, fully functional and responsive website. I also embedded a custom icon font, gonzocons 2.0, including 100 line icons the client can use within their pages and posts. 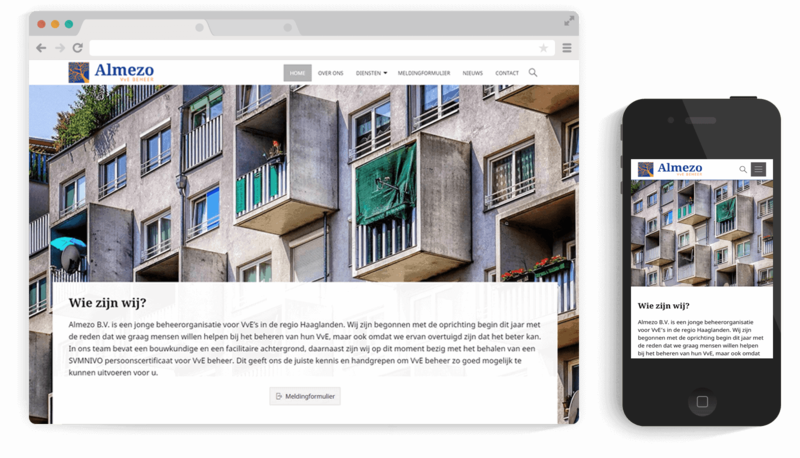 Together with a pixel perfect HTML and CSS their new responsive website is now ready for the upcoming years.